I was at BW-1 from October 1952 until May 1955. 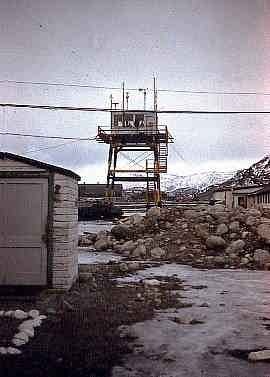 My family spent two years there and we loved it and wanted to extend but the Base Commander's policy was that no one extend. Best tour of duty while in the military. I was the officer in charge of Air Traffic Control in the 1935th Airways and Air Communications Service (AACS). Spent one month at BW-3 as Commander. 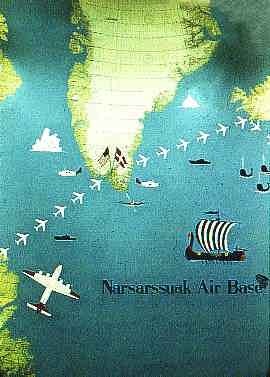 In my twenty six and one half years in the military I, make that we to include wife, rate our three year tour at Narsarssuak as No 1. We worked hard and played hard. You made friends, friends we have kept for over 40 years. As Karl Kirkegaarde the Danish Liaison officer once stated, "You might want to go back, but don't for you may loose some good memories. Don't misunderstand that sentence - for I would go back just to see it again. It is good to see an interest in the WEB. It might get a few more people interested in the reunions we have each year. The "Blue Ice Bash" is three days of camaraderie - for old friends are good friends. New "old" friends we are looking for at any time. Stay exuberant. New air traffic control tower (left), aeronautical chart in Base Operations (right). Shows "High Flight" route.